If you're tired of your natural and dull hair color, Manic Panic Cotton Candy Pink might be one of the best hair dyes you will ever use on your pretty little head. It works on most hair types and saves your hair from damage due to the use of natural ingredients without taking away from the overall quality and end result. Some have said this color specifically has an iridescent tint to it and looks really interesting in sunlight and under UV lighting. There may be a couple of downsides overall, but it's extremely easy to use, vegan-friendly, and affordable so anyone can enjoy using it. There are more reasons to try this out if you keep reading, it's practically risk-free. What is Manic Panic Cotton Candy Pink? This semi-permanent hair dye transforms your hair in only 30 minutes. This product is easy to use and comes ready to use straight out of the container, so there is no need to go out and buy a bunch of professional tools and supplies. All you will need is your hands and a comb to make sure that it is evenly applied to freshly washed and dried hair. You should comb it through your hair until the product appears a bit frothy making sure you have applied it all over, but trying to keep it within a half of an inch from your scalp to avoid staining or irritation. It might also be a good idea to cover it with a hair cap to keep the natural heat from your head inside creating an environment that embraces and holds onto the color. You can even apply heat to it, such as a hairdryer, for a more intense result. Once it has saturated your hair for about a half an hour, you should rinse it out with cold water until it runs clear, dry it or air dry, and you're done. There's really no need to use any conditioner after because there aren't any harsh chemicals in the product and it has been designed to condition your hair while it dyes. You also shouldn't have to worry about it staining your clothes due to the naturally gentle formula and hue used in Manic Panic Cotton Candy Pink, which is effective but doesn't leave such a harsh and vibrant mark. Everyone fantasizes about putting wild colors in their hair, but how many achieve it without using products that fry it or test on animals? Manic Panic Cotton Candy Pink prides itself on being a gentle solution that has also been a cruelty-free hair product since 2007 and consists of a cream base made up of some of the safest ingredients around such as water, propylene glycol, and aloe vera. The aloe vera included in the cream base of this product is a natural moisturizer, so you do not have to worry about destroying your hair as it conditions and revitalizes it while the dye sets in. In other words, this product may actually help to repair and improve the appearance of your hair after using it, and not many products can claim this or even begin to. This is a semi-permanent hair dye, so it lasts anywhere from 4 to 6 weeks before it fades out, but even when it does many people say it fades into an array of even more impressive tints of pink which can be really exciting for those of us who enjoy watching things transform. Eventually, it fades to a hardly noticeable color leaving it ready for the next color or re-application and touch up of the same one. The fading all depends on your normal hair regimen though, so we recommend washing your hair with cold water as infrequent as possible to preserve the intensity of your new color. One of the coolest things about Manic Panic Cotton Candy Pink is that it can't be found in many others is that it GLOWS UNDER BLACK LIGHTS! You can be sure to stand out after using this dye because you might be the only one around with such a fun feature to your hair. Don't forget to take pictures. The first thing you may think of when reading about a high-quality product is how high the price will be since not everyone who wants to change up their look has a thousand dollars to work with. If you are one of these people and are just searching for something reasonable, then you will be relieved to find that Manic Panic Cotton Candy Pink won't break your bank and leave you low on cash because it can usually be found right on the Manic Panic N.Y.C. website for under 15 dollars, sometimes even less. 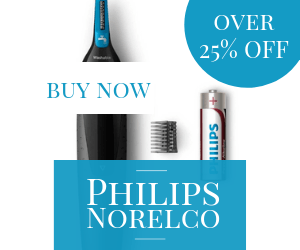 They offer deals and promotions on occasion for those who are lucky and get the timing right. Lots of people on a budget swear by purchasing from salon stores due to their frequent sales and promotions, so keep your eyes peeled for some of these special offers. You may also find Manic Panic Cotton Candy Pink for a steal on Amazon and websites alike depending on whether you're willing to wait for shipping or not, yet can you really ever wait too long for good products and results? Either way, it costs less than a cheap haircut, and it's definitely worth it for the quality. We picked a couple of similar products available on the market to see how they compare to Manic Panic Cotton Candy Pink. This is a vegan semi-permanent hair dye with a cream base that helps to condition your hair as it colors. Special Effects lasts anywhere from 3 to 6 weeks on most hair types depending on how often you wash your hair and your normal hair regimen. Special Effects works better on hair that is pre-bleached to a lighter shade of blonde to give you the bright color you might hope for. Atomic Pink is one of the brightest colors they offer and also has the exciting capability of glowing under a black light so you can wear it out with the confidence that everyone will notice you when you walk in the door. As it's an easy-to-use product, we still recommended leaving it on a bit longer than Manic Panic Cotton Candy Pink with your wait time being just under an hour, but the results are very playful and bright when applied correctly. 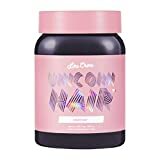 Lime Crime Unicorn Hair and Bubblegum Rose are soft pink semi-permanent hair dyes from a vegan and cruelty-free company that don't require a toner or developer but may involve some other precautions when it comes to handling and stains. It is suggested that you have an applicator brush, clips, and a bowl handy. It is also suggested to wear gloves and a cape or something you don't mind getting dirty to prevent staining your good clothes. The dye should be applied in sections and left in your hair for a stretch of 2 hours for longer-lasting color. You won't need a cap or to apply any heat to get your beautifully dramatic results, but you might want to be careful because some say you will experience some stains on clothes and skin pretty quickly until it is completely dry after the first few washes. All in all, Lime Crime does deliver good results when it comes to color. Here is a semi-permanent cream based hair color that conditions as well as the others. It is still recommended that you prepare by bleaching your hair to a light blonde first, yet this product also provides a highlighting effect on darker hair colors if you are interested in that. The ingredients in this all Jerome Russell Punky hair colors are vegetable based and of the highest quality to deliver the best results. They do not include any acid dyes which is the primary source of stains on clothing and surfaces at home and can sometimes be incredibly hard to get out right away. At a half an ounce less, you may be surprised at how long this lasts in your hair. Many share that their color has lasted upwards of 3 months with minimal fading although everyone's hair is different and some other hair types do not share this same experience. However, many have experienced great results and color that lasts, which is a huge benefit for people looking for longevity. 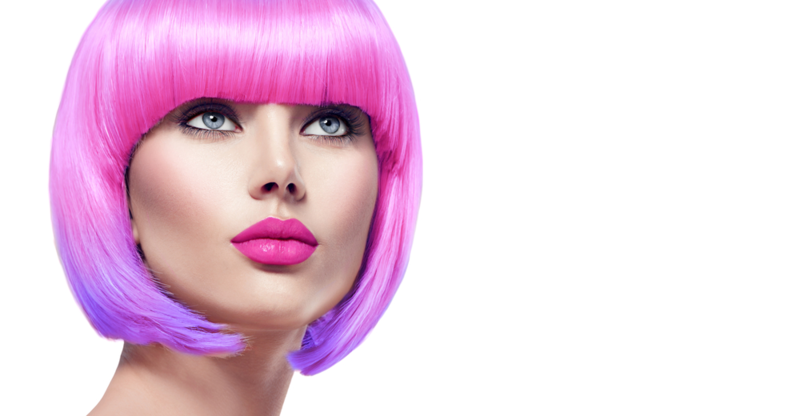 Overall Manic Panic Cotton Candy Pink is a great choice for anyone who is looking for a pastel pink that pleases. Many hair dyes have a long list of cons and warnings related to the resulting longevity and quality or accuracy of color but with Manic Panic you can at the very least hope for average results that leave you satisfied with your purchase. The application is quick and easy which is important for some beginner hair colorists or even stay at home moms looking for a pop of color in their lives. Another reason you might be happy with this product is the simple fact that you can buy the dye and apply it without any extra supplies or steps, leave it on your hair for 30 minutes or as long as you'd like, and rinse it out without the need to worry about it damaging or permanently staining any of your clothes and furniture. Another plus is the rare glowing effect it has under UV lighting making for compliments and great pictures. The formula for Cotton Candy Pink has been designed to deliver an amazing variety of pinks as it fades over time. This also makes it easy to re-apply and also easy to wash out in a pinch if you wanted to do so. Even so, it may wash out a little too quickly which would explain some of the recommendations explaining how you might want to wash your hair infrequently and most definitely in cold water. Many pastel colors have a hard time producing noticeable results on hair unless it is bleached to a high-level blonde, so customers are left unhappy with the results because they hoped for what they saw in the picture. We would encourage anyone who is truly hoping for a bold but gentle pastel pink to safely lighten your hair as much as possible before using this product. With that being said we would rate this product a total rating of 3 out of 5 stars.